Gardening is like therapy to me. 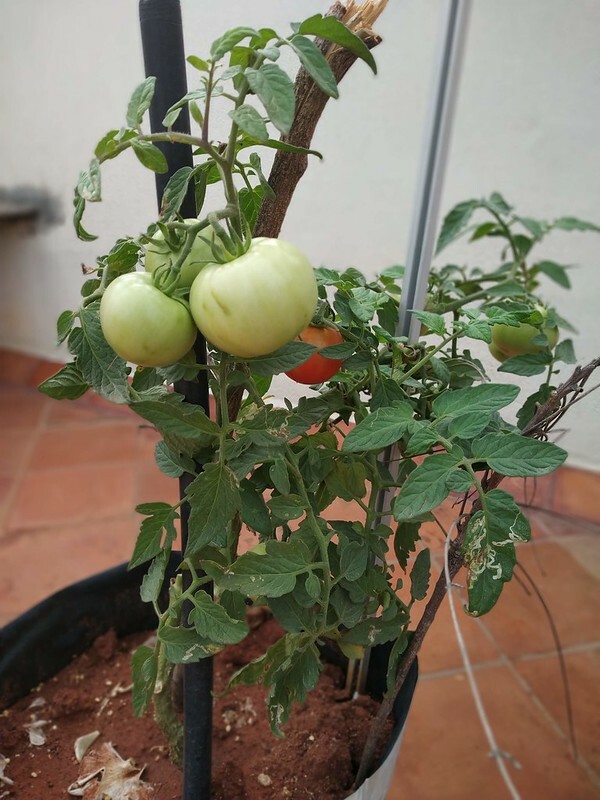 Every morning I spend an hour tending to the grass, weeding, pruning plants, and checking on the health of vegetable saplings on the terrace. 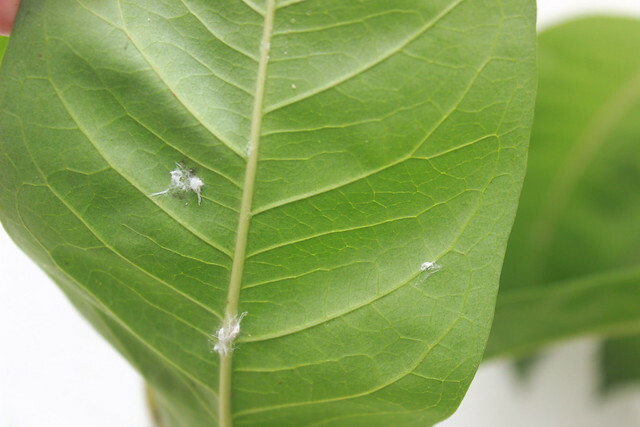 Of late, with the onset of monsoon, pests and aphids infestation is what I’m grappling with most of the time. Aphids and mealy bugs first appear on hibiscus and soon spread to the other plants. But, what I discovered yesterday terrified me. The papaya had a stunted growth for a few weeks. I accidentally checked the underneath of leaves. No green patch of the leaves was to be seen; it was snow white fully covered with mealybugs. I forgot to take pictures. Pluck and throw the leaves: since the leaves were badly infested in Papaya, I removed the leaves and what is left of the plants now is just the stem. This was necessary as spraying wouldn’t have helped. Spraying water with force and sprinkling cinnamon: I sprayed water on the infested parts with force and checked the back of the leaves and stems to ensure there were no bugs left. Wherever there were only a few, I got rid of them manually. I sprayed cinnamon powder with a tea strainer on the leaves. This helped with hibiscus. Keep doing this consistently for a week until they are gone. Neem oil: an often cited remedy is to spray neem oil at frequent intervals. 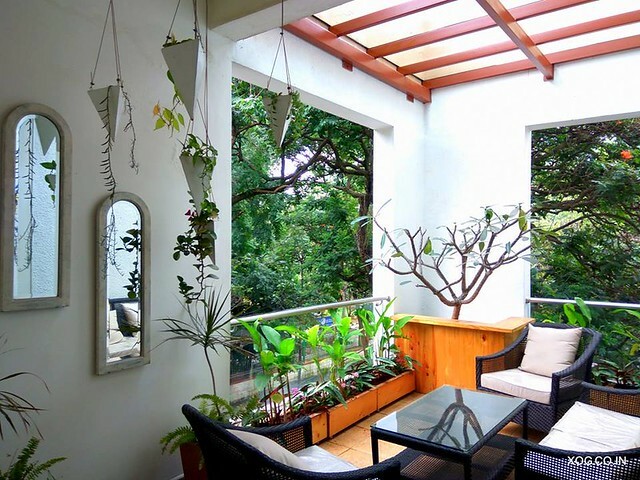 I have tried blending fresh neem leaves with chili powder and spraying the mixture on leaves. It did not help, perhaps because I did it once. May be doing it at frequent intervals will eventually work. Check the bottom of the leaves and stem because that’s where mealybugs are found.The top of the leaves may seem perfectly healthy. Keep the plants in the sun. This will reduce the chances of infestation. Do not spray water on the leaves while watering. Do not over water the plants. 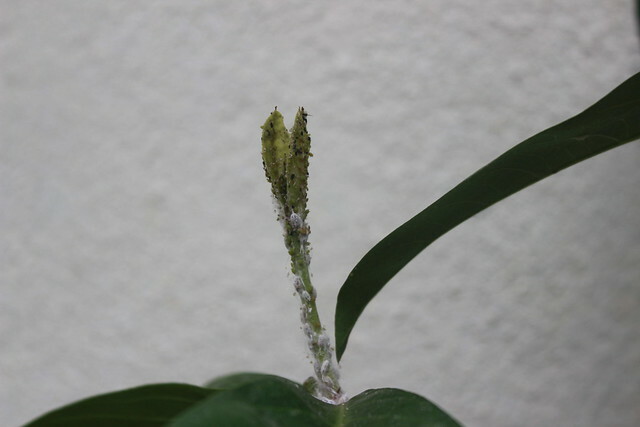 Mealybugs are often found where there are ants. Spray ant or termite powder around the area where you can see ants originating — it is often from a crevice on the wall. 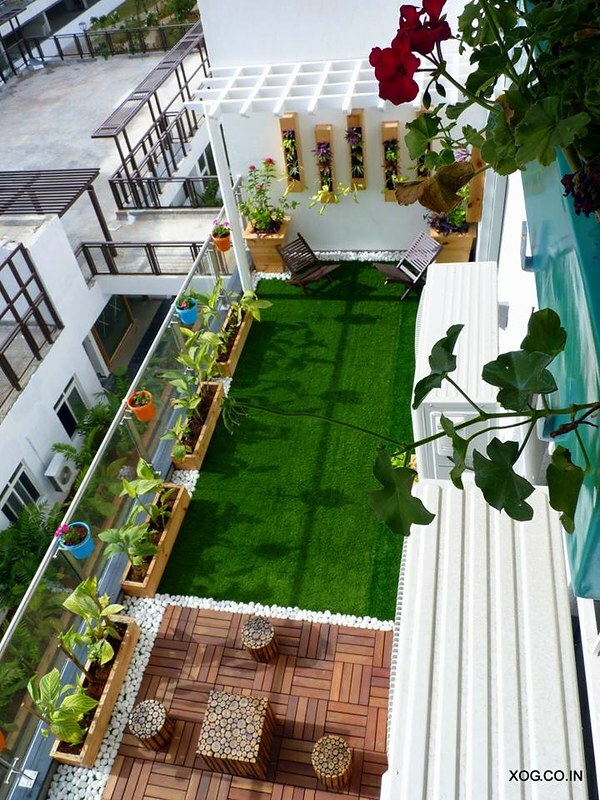 Looking for a customized garden installation for your balcony, terrace, or backyard? Check out Xanadu. Laxmi to add to the list of remedies,constant spraying with turmeric powder mixed in water also does help..but one has to be regular with this! True Sangitha. One issue with spewing turmeric/cinnamon powder is that the effect goes away after a rainfall if the plants are exposed. Thanks a lot for sharing so many different advices! Neem oil is also effective in controlling the spread of many types of fungus that infect plants. Thanks for the suggestion. That’s one thing I have not tried effectively. The pests outnumber the produce during the monsoon from worms and aphids to mealy bugs, there’s just about everything you can find. One of the remedies which I know is to spray it with salt water…..